The earth was born 4.56 billion years ago. This highly accurate figure was obtained from the latest radiometric dating in the field of earth and planetary science. If you think of 4.56 billion years as one year, human beings were born on New Year’s Eve at 4:00 p.m., at the very end of the many months the earth and life evolved. However, even with that small amount of time, I can feel how wonderful it is to be born and I try not to worry about the small things, living life to the fullest even for moments that are less than a second. On the other hand, on this same calendar, human beings released carbon dioxide and started to cause global warming on New Year’s Eve at 11:59:59 p.m. This reveals how quickly humans have changed the earth and the seriousness of global environmental problems. In this way, earth and planetary science is a unique field of study that has two appealing aspects in that it pursues dreams, such as the birth and evolution of the solar system and life, and researches areas that impact society and humanity such as the environment, disasters, resources, etc. The targets of our research are often familiar topics that everyone has questioned at least once, for example: When was the earth and life born? How did the universe emerge? What causes earthquakes and volcanic eruptions? What is the future of the global environment? Furthermore, earth and planetary science is the strongest applied field in science and is based on various fields of physics, chemistry, biology, and geological science. Research findings in this field lead to new theories and scientifically universal facts as well as contribute to the future of society and humankind. Provided this, if you have an interest in space, planets, the environment or humankind, it is no exaggeration to say that you will find a research theme that suits you in earth and planetary science. This breadth and versatility is the most appealing aspect of our Department. Figure 1. The five major groups in the Department of Earth and Planetary Science. The themes in red embody the dreams of humankind. The themes in blue contribute to sustainability, safety, and security. This description so far of earth and planetary science may lead you to think that it is separated into various fields. Although this was the case in the past, in modern earth and planetary science we find that fields that appear unrelated are actually closely related and that it is necessary to examine the universe, planets, environment, and life comprehensively. For example, the movement of the earth’s mantle affects the environment of the earth’s surface, which causes organisms to evolve, and the activity of these organisms affects the global environment in return. This perspective of system science is becoming a new allure of earth and planetary science. It can be said that earth and planetary science is undoubtedly the most necessary science in the 21st century. It is an essential field in pursuing sustainable development, safety and security, in opposition to problems such as the global environment, disasters, and resources. On the other hand, humans cannot have enriching lives by worrying about impending crises. What keeps us human is our insatiable curiosity and dreams. We are able to face urgent problems in reality because we also think about things that are removed from us, such as stars in the distant universe, the movement of the ground a few centimeters per year, and organisms such as dinosaurs that used to exist. Therefore, studying the basis of earth and planetary science will lead to both fulfilling dreams and making contributions. Our Graduate Department of Earth and Planetary Science, as well as our related undergraduate departments, the Department of Earth and Planetary Physics and the Department of Earth and Planetary Environmental Science, have been reorganized according to developments in earth and planetary science. The Department of Geology was established in the Faculty of Science alongside the founding of the University of Tokyo in 1877, which was soon followed by the Department of Mineralogy, Department of Geography, and the Department of Seismology (which later became the Department of Geophysics). These undergraduate departments were reorganized to form the current Department of Earth and Planetary Physics and the Department of Earth and Planetary Environmental Science in 1990 and 2006, respectively. The four departments in the Graduate School (Earth and Planetary Physics, Geology, Mineralogy, and Geography) were reorganized to form the Graduate Department of Earth and Planetary Science in 2000. Each group consists of surveying and observing the elementary processes of various phenomena, sample analysis, and experiments that clarify research through simulating nature, and conducting research based on modeling and simulation in order to understand and predict phenomena as a whole based on its elementary processes. The Graduate Department admits about 100 and 50 students into the Master’s and Doctoral programs, respectively, and seminars in these five courses allow faculty members and students to introduce their research and engage in lateral communication. 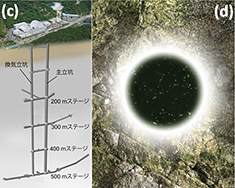 The Graduate Department is also involved in a wide range of research fields and education in collaboration with the Earthquake Research Institute, Atmosphere and Ocean Research Institute, The University of Tokyo Research Center for Advanced Science and Technology, JAXA and the Institute of Space and Astronautical Science, and the Institute of Materials Structure Science at the High Energy Research Organization (KEK). In order for students to learn a variety of basic approaches in graduate school, we have established the Department of Earth and Planetary Physics, which emphasizes the physical aspect of the field, and the Department of Earth and Environmental Science, which focuses on the chemical, biological, and geological analysis of samples from in-field observations and laboratories. Through this, students not only learn an especially wide range of fields in earth and planetary science but also acquire basic ideas and methodologies that are specialized for each student, which they can use as a starting point to expand one’s own field to other areas. If you have an interest in both departments, you can freely choose from among lectures that have been designed to touch on various academic disciplines. I will briefly introduce the various kinds of research being conducted in the Department. Firstly, it is fascinating to study the universe that surrounds the earth. Our Department studies the origin and evolution of planets in the solar system and the possibility of water or life on planetary surface environments, and in recent years this target has spread to exoplanets as we are pursuing the dream that somewhere in the universe there are habitable planets where life can exist. In terms of research methods, in addition to analyzing objects that fall to the earth, such as meteorites, planetary exploration to find these objects within the solar system using probes has become mainstream. In particular, there are many researchers working with the latter with excitement in their eyes and dedication to their respective missions, a prime example being the Hayabusa. In June 2018, when this article was written, Hayabusa2 (Figure 2) had just arrived at its target asteroid, Ryugu. I wonder what kind of asteroid fragments Hayabusa2 will bring back to the earth? Satellites and computer simulations are also important tools and cosmic rays and plasma particles that fill space have become essential research areas in the boundary between the earth and the universe. To promote these areas of research, various international space missions are underway (Figure 2). Figure 2. The Space-Planet Project, which is being led by our Department. The earth’s interior is another frontier for humankind. Reaching the depths of this high temperature and high pressure world is more difficult for human beings than going to another planet. High temperature and high pressure experiments, seismic wave observation, and computer simulation are effective ways to study this kind of target. In particular, high temperature and high pressure experiments being conducted in our Department have the world’s best technology that uses diamond anvil cells to recreate the conditions of the earth’s mantle or core and elucidate the distribution of elements, which provides valuable information on the evolution of solid planets. The mantle and plate tectonics located in areas shallower than the core are subjects of interest and are behind phenomena such as orogeny or earthquakes and volcanic eruptions. Especially in regards to seismology, our Department is at the center of research that discovers many new types of earthquakes such as slow earthquakes. We collect samples of rocks at the surface layer (Figure 3) and by using various advanced methods including analyzing the physical properties of rocks and minerals, geochemical analysis, and isotope analysis, extensive studies are being developed in areas such as the history of the earth, tectonics, continental formation, earthquakes, and volcanos. These lines of research contain both dreams and contributions. Figure 3. The dynamic movement of the solid earth and the accompanying earthquake phenomena. The space between outer space and the solid earth consists of soil, rocks, oceans and atmosphere, which creates an environment where life can exist. In particular, the oceans and atmosphere are fluids that carry energy and circulate materials on the earth’s surface, and we are actively studying the compositional variations in atmospheric and oceanic substances by theoretical considerations and general circulation model simulation (Figure 4) and conducting field observations in order to understand the flow and turbulence of the atmosphere and oceans and clarify the mechanisms behind the interactions that cause climate change. By thoroughly gaining an understanding based on the laws of physics, we can accurately predict the future of the atmospheric-oceanic environment and solve problems that are related to the actions of humans and society, such as global warming, weather, and El Niño, as well as contribute to society. One of the strengths of our field is that we are able to conduct observational research by using various platforms, such as satellite observation, large-scale radars (such as the PANSY radar at Showa Station in Antarctica), aircrafts, research ships, and observation facilities in the Polar Regions. Furthermore, in terms of material science research in this field, we have conducted extensive research on aerosols in the atmosphere and found that aerosols arising artificially by combustion, etc., have affected the formation of clouds and biological products of the ocean, which is possibly contributing to global cooling and has a deep connection to climate change. The impact of global warming on the carbon cycle of coral reefs, which is an important member of the earth system, is also an interesting theme. 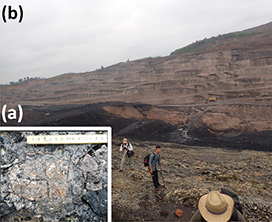 Research related to life existing in this environment is one of the strengths of the Department of Earth and Planetary Science. In our Department, we handle various organisms ranging from microorganisms to multicellular animals and are conducting research related to the origin and evolution of life by using genetic analytical methods as well as investigating the evolutionally process of living organisms’ morphological evolution/gain-of-function by using fossil samples (Figure 5). We are also approaching the elucidation of the “co-evolution of the global environment and life” by clarifying the interaction between surface materials and microorganisms, minerals (biomineralization) that create life, and bioaccumulation and the biological essentiality of elements. Furthermore, in collaboration with astrobiology (which investigates the origin, evolution, and distribution of life in the universe), we are leading in research on the origins of life, such as research related to microorganisms that inhabit extreme environments, such as the bottom of the sea or deep underground. One of the reasons why earth and planetary environmental research is so interesting is the breadth of the dynamic range of space and time that is covered. In terms of time, we are conducting climate change research on the past one million years in relation to the solar systems and planets of 4.6 billion years ago and the present, and how this will impact the future of the global environment. In terms of space, there is a variety of range in material science research, which includes the development of the electron microscope and synchrotron radiation analysis, the remarkable development of fields to understand the behavior of materials in the environment (such as nano-geoscience and molecular geochemistry), the formation of resources from an array of atoms and molecules and chemical reaction processes, the elucidation of the formation of minerals under high pressure, the release of hazardous substances such as mercury and radionuclides due to nuclear power plant accidents, and understanding the enrichment process of rare earth elements and noble metals (Figure 6). Similarly, even in life sciences and paleontology, we are exploring the functional change and evolution of organisms by using knowledge on molecular biology that is based on genome information. The previously mentioned systems science and multilateral interaction are fascinating subjects for research. For example, when considering water, the circulation of water is at the forefront of research topics as it not only exists on the earth’s surface but is also supplied to the mantle and magma that is produced in the deep earth. Research on water also spreads to the discovery of planets with water in the universe. Our Department’s research on systems science includes the phenomenon of global freezing (snowball earth) that occurred 2.3 billion years ago as well as 6-7 million years ago. Provided this, we have advanced our understanding of plate motion and continental distribution, interactions among the atmosphere, rocks and water, fluctuations of carbon dioxide in the atmosphere and oxygen concentration, and climate change due to changes in radiation (Figure 6). I originally specialized in chemistry; however, I am very glad that I ultimately became a researcher in earth and planetary science. Not only is this research area interesting as a science but there are also many opportunities for real world application. Furthermore, if you have a solid foundation in this field, you can also tackle various other areas in research. I hope that young people rise up to challenges in the alluring field of earth and planetary science and follow the path of becoming a researcher. As mentioned in this article, especially for various earth and planetary sciences, the most important thing is to properly acquire the basics and foundation. Topics that are dealt with in this field will continue to change rapidly due to technological development, but will remain based on the foundations of physics, chemistry, biology, and geology, and make use of only logical thinking. After obtaining their degree, researchers carry the mission of pioneering the forefront of research for the next 40 years. This is something our faculty members do their best to always keep in mind in order to provide students with the basics and foundations necessary to survive the long journey of a researcher. Fortunately, our students at the moment are blessed with a variety of career paths and if they train enough, there are many places where they can be active as researchers. I would like to encourage students to become researchers in earth and planetary science and realize new dreams and contributions with us while also enjoying a wonderful life.